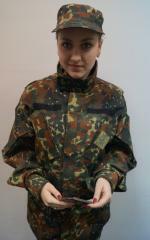 Suit camouflage Ukrainian army pixel. Unbelievable price on Clothing camouflage, camo in Dnipro (Ukraine) company Dagaz-SOE, ChP. Wide choice of quality products at affordable prices.